« Which of these things is not like the other? 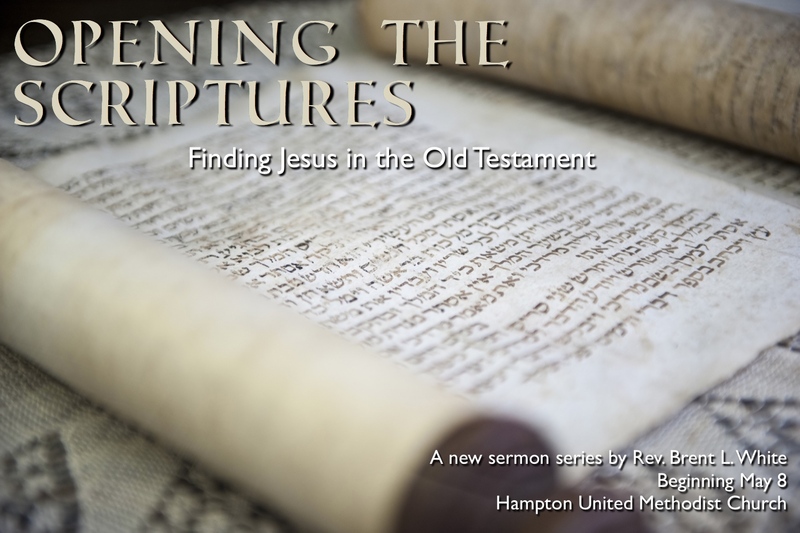 Today’s scripture takes place just after the golden calf episode. When God promises Moses that Israel will enter the Promised Land after all, only without God’s special presence among them, Moses makes a startling statement: in so many words, he tells God, “I’d rather die than live without you and your glory.” How different would our lives be if we, like Moses, lived for God’s glory—if we lived to glorify God? It’s the only way we can be truly happy. Yet how can we—sinners that we are—bear to live in God’s glory in the first place? My dog Neko is currently wearing the dreaded “cone of shame” or a lamp shade—technically known as an Elizabethan collar. She’ll have to wear it until she has surgery on Wednesday and probably a while after that. She does not like the cone of shame, as you can imagine. If we, her owners, weren’t big enough to force it on her, she certainly wouldn’t wear it voluntarily! But she’s wearing it for her own good, whether she knows it or not. 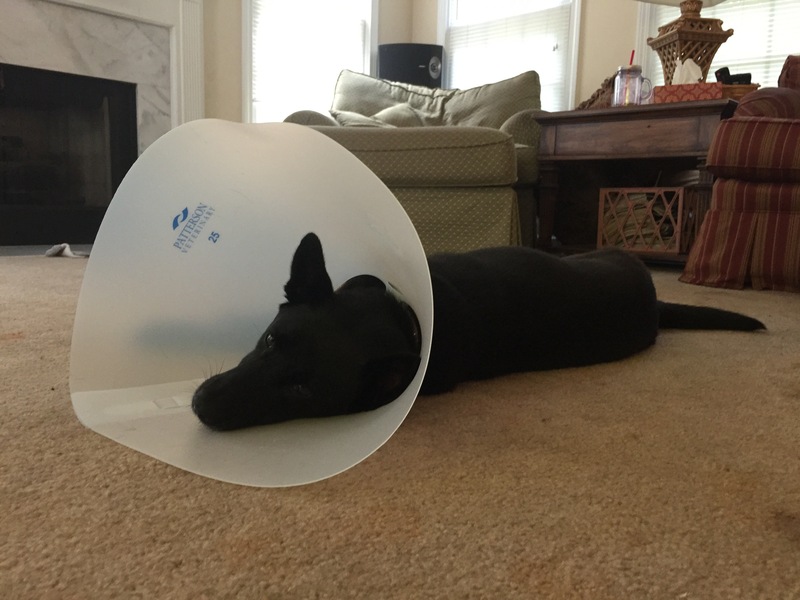 In a similar way, Israel resisted being under God’s yoke—they refused to submit to God’s will—even though, like Neko and the cone of shame, it was for their own good. If you’re familiar with the story, you’ll remember what just happened earlier in chapter 32. Moses has been on Mt. Sinai for forty days—receiving the Ten Commandments and other important instructions—and when he comes down the mountain, he finds that the Israelites, with the help of his own brother, Aaron, have grown tired of waiting for him, and they have melted down their gold and re-created a god that they knew from Egypt, in the shape of a calf—a golden calf. They’re tired of waiting on their God, Yahweh, so they worship another one. When you think about it, this seems like a pretty good deal for the Israelites! This is the kind of religion that most people want—regardless of their religious background. They want God to do all these good things for them without asking anything in return! Even most people who call themselves Christians in our country live as if God is only about forgiveness without asking anything in return—a God who just wants to love love love us without getting up in our business; who doesn’t make any demands on us; who doesn’t ask us to change anything about our lives. 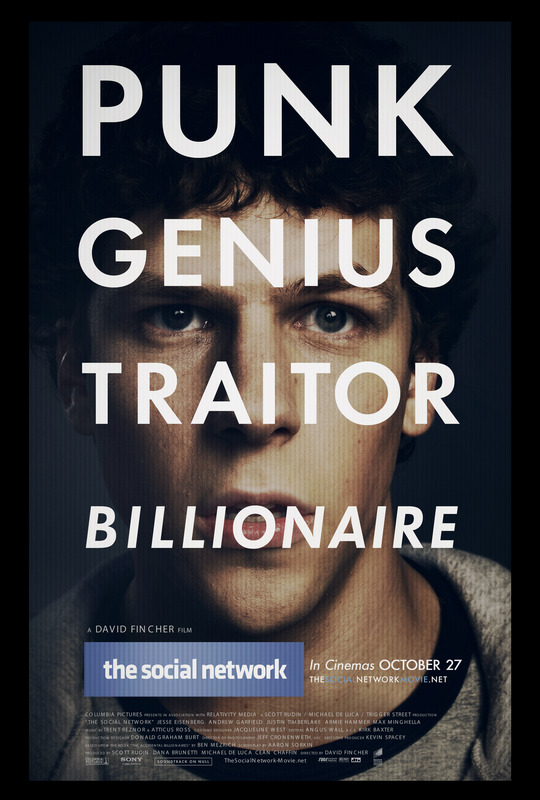 Years ago, there was an Academy Award-winning movie called The Social Network, about Mark Zuckerberg and the creation and growth of Facebook. The first scene in the movie depicts Zuckerberg acting like a jerk to his girlfriend, and she breaks up with him, not long before he creates Facebook. And then, in a poignant scene at the end of the movie, long after he’s a billionaire many times over—we see Zuckerberg friending this same ex-girlfriend on Facebook and waiting—with hope and desperation—to see if she’ll accept his friend request. Great scene! Great ending! But it didn’t happen in real life. In real life, Zuckerberg had the same girlfriend throughout his college years—before Facebook, after Facebook—and he’s married to her today. And there’s something to be said for that! Mark Zuckerberg, one of the wealthiest, most powerful, most influential men in the world, doesn’t need to worry that his wife only loves him for his money. I mean, imagine a different ending: Zuckerberg creates Facebook; makes billions; falls in love with a girl and gets engaged. Then suppose Facebook goes bankrupt; he loses everything but the shirt on his back; and his fiancée then dumps him. What would Zuckerberg think? He would think, “She only loved me for my money—not for who I was.” Right? And he’d feel hurt; he’d feel betrayed. He would feel as if he were being used! Friends, how do you think God feels? Because don’t we often do the same thing to him? Don’t we love God for his money—for what he gives us, for what he does for us? As long as things are going well—as long as things are looking up; as long as things are smooth sailing—we’re all about God. 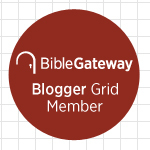 If the Christian life were one continual blessing after another—something other than a wilderness journey through a hot, arid land that I talked about last week—then it would be easy to believe in God. But then things get tough. Life is hard. God asks more of us than we want to give. And we suddenly don’t pray as often, we don’t go to church as often, we don’t serve as much, we don’t give as much, we don’t read the Bible as often as we used to. If ever. We don’t exactly stop believing, but we live our lives as if we’re practically atheists. Because our faith makes no difference in our lives. We live as if God doesn’t exist. Or worse than that… Suppose life doesn’t become difficult—on the contrary, suppose it gets much easier: we make it through a crisis that was threatening to harm us; we get a new job; we get a promotion; we make more money; our love life takes off—we meet the person of our dreams. Or we just get busy and distracted by family obligations, by kids, whatever—and suddenly we place a higher priority on other things or other people in our lives than on God. We still believe in God, but this belief makes little difference in our lives. Either way, we are showing through our actions that we weren’t loving God for himself. We were loving God for what he could give us, what he could do for us—how he could help us. Now you may be wondering: What does it mean for God to take away his presence? Isn’t God everywhere? Isn’t God, in other words, omnipresent. Yes, he is. Often people who aren’t religious at all will go to the top of a mountain, or watch a gorgeous sunset, or experience the birth of their child, and they’ll feel a vague sense of God’s presence. They know God must be here. That’s real and that’s true: God is everywhere, and every once in a while, we sense God’s “everywhere” presence. But this isn’t the kind of presence Moses is talking about. He’s talking about a kind of presence that’s far more intimate than that: He’s talking about Moses’ ability to experience God’s glory—as one pastor puts it, he’s talking about God’s “glory” presence rather than his “everywhere” presence. We modern people struggle with this idea. If God created us to glorify him, doesn’t that mean that God is conceited? Vain? Stuck up? But why would we think that? To glorify something or someone in any other part of our lives makes us immensely happy! What makes us happier than falling in love, for example. And what do we do when we fall in love? We glorify that person. We want to write silly love songs about them. Remember that Dan Fogelberg song? “Longer than there’ve been fishes in the ocean/ Higher than any bird ever flew/ Longer than there’ve been stars up in the heavens/ I’ve been in love with you.” It’s silly, except that’s the way being in love makes us feel! We want to write poetry about our beloved. We want to praise them for their beauty, their intellect, their kindness, their sense of humor, their personality. Nothing is better than ours the one we love. Nothing matters more than the one we love. We can’t get enough of this person. We can’t hold in all of our emotions. So we glorify them. And there’s nothing wrong with that! We even glorify our favorite sports teams—especially in a couple of months when college football season starts. We glorify our nation—especially on holidays like the one tomorrow. Nothing wrong with that. The fact is, it brings us great pleasure to glorify people and things that are far less than God. Why shouldn’t we want to glorify the One who deserves it more than anyone or anything else? My point is, if glorifying God isn’t at the center of our lives, we’re not living properly! So here’s my question: is it? If it’s not, why not? Just last week I made a decision to try something, which I hoped would benefit my relationship with God. It involved my smartphone—my iPhone. My phone is my alarm clock in the morning, so it is automatically the first thing I grab when I wake up—I turn the alarm off. The problem is I often don’t put it back down. I mean, why would I put it down? There are so many important things to do on my iPhone! Check the score of the game. That often gets me riled up. See what’s happening on Facebook. That always gets me riled up. Read about what outrageous thing Candidate X or Candidate Y said or did yesterday—I mean, how could you vote for that loser! That gets me riled up. Or—thanks to the persistence of one of my sons, who recently got me hooked on Clash of Clans—I need to check my village in the morning. See if my defenses withstood the latest attacks while I was sleeping. I also have weapons to upgrade, walls to build, goldmines to dig, requests to fulfill, troops to train, research to conduct. Important stuff! And that gets me riled up. The point is, my smartphone—as alluring as it is, as tempting as it is—usually makes me feel worse about my life. And by the time I put the phone down, I don’t feel like praying anymore. I don’t feel like spending time in God’s Word. I certainly don’t feel like glorifying God. So last week I intentionally put the phone down after turning the alarm off. Just as a way of saying, “God, you’re more important than anything else in my life.” And, look, it’s just one week, I know, but I felt much better prepared to face troubles of each day by going first to God, rather than something that can easily become a god—this iPhone, this little golden calf of mine. But do you see the problem? How can God do both? How can God show mercy to guilty sinners like us while, at the same time, refuse to “clear” guilty sinners like us? It seems like a contradiction, doesn’t it? And it would be. Except for one thing: the cross of God’s Son Jesus. On the cross, God’s perfect love and God’s perfect justice meet. Because of God’s commitment to justice, a penalty must be paid. But because of God’s love, compassion, and mercy, God doesn’t want us sinners to pay it—because it would mean our death. It would mean hell. So what does God do instead? He pays the price himself. By coming to us in the flesh. By coming to us in Jesus, who is God—God the Son, the Second Person of the Trinity. God suffered the penalty in our place. The apostle John referred to today’s scripture when he tells us, in John chapter 1, verse 14, that the Word became flesh and dwelt among us, and we have seen his glory—glory that Moses wanted to see but couldn’t— and this glory, John says, is “full of grace and truth.” The truth is, like the Israelites, we are stiff-necked people who deserve God’s wrath, judgment, and hell; the grace is, God loved us too much leave us in that condition. He loved us too much not to give us the opportunity to be saved. This entry was posted on	July 26, 2016 at 6:07 pm	and is filed under Uncategorized. I agree with most of what you say here, and well stated. However, I am not sure about the concluding part with respect to “not clearing the guilty.” I think the situation is comparable to what you say about God’s “everywhere” presence and God’s “glory” presence. God forgives us our sins and will not “disinherit” us following salvation through Christ’s sacrifice (assuming you cannot fall from grace). However, God’s “friendly” presence is affected by what we do. God won’t let us “get away with murder,” so to speak. “The heavens may become as brass.” “Our sins have separated us from God.” It’s like your situation with your wife (or, I should say, my wife, so as not to presume as to yours). She has pledged not to divorce me, and she won’t. But certainly her “cheeriness” will be affected by how I act toward her. So, if I desire her “cheeriness” presence, I will have to watch what I do. Similarly with God, I think.